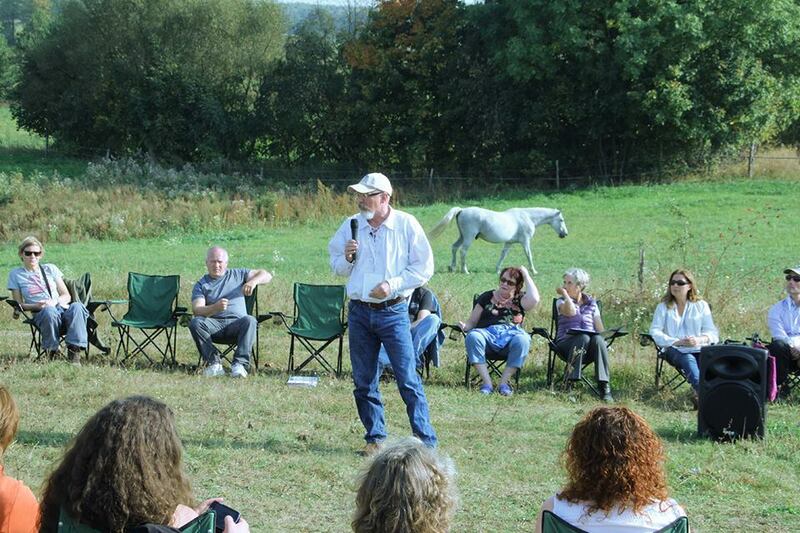 Horses are the real trainers in our seminars, retreats, and camps. Research shows that 93% of human communication is non-verbal, yet the majority of leadership programs focus on verbal communication. Horses do not communicate verbally. Horses pay attention to what is happening to themselves and others in the moment. Participants receive direct feedback from the horse's behaviours on how they are performing as leaders. The horse will only accept a leader that it trusts. ﻿﻿ Horses are herd animals. In the wild, the horse’s survival depends on being in a herd, and everybody within that herd working as part of a team. 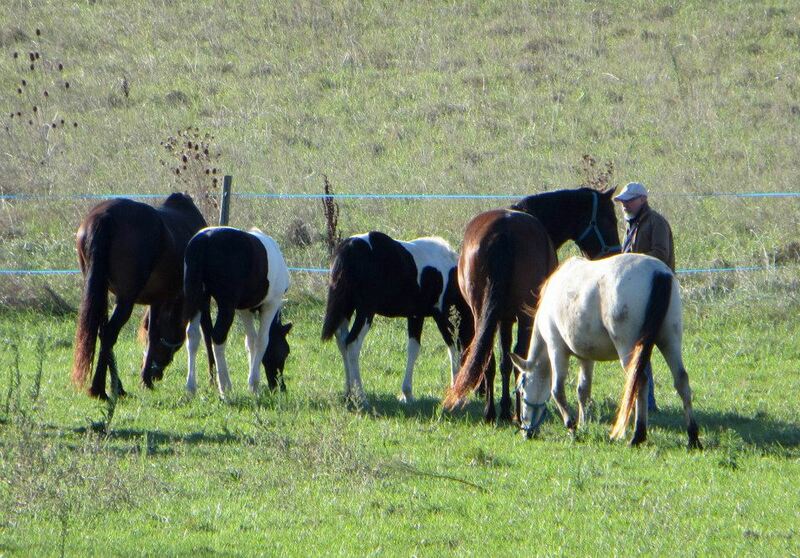 The herd will have a natural hierarchy and each horse will have a role in that team. This is much like our social groups and corporate teams today. As a herd animal, horses are always open to leadership when it is real and congruent. They do not have agendas or acknowledge titles. Horses respond to who you are in the present. The horse will react to you exactly as you present yourself, reflecting your leadership style, how it's perceived and received. Everyone has a reaction to horses; people either love them or fear them. These are the two biggest emotions that are reflected in our relationships with other humans. 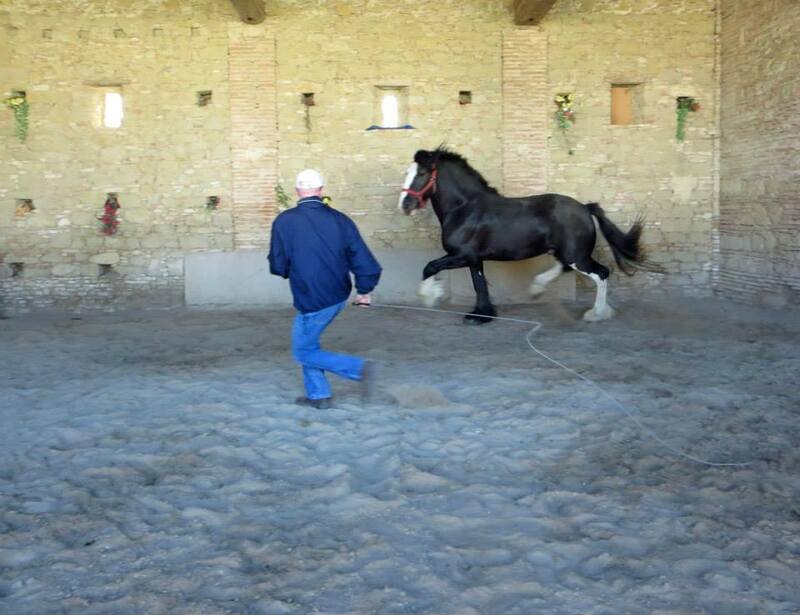 Emotionally and psychologically, the experience of working with a 1000 pound prey animal builds confidence, while developing self-reliance, control and the experience of personal achievement as you learn how to be a leader with horses. “Horses have been clinically documented to change human brainwave patterns, calming us, helping us to be more focused” *. Leadership isn't just about getting people from one place to the other. Leadership is about how we lead, how we are perceived, how we are received. The horse shows us what we truly need to do to inspire and lead people.Are we aware of our body language, our attitude and our tone of voice? Our approach reflects those qualities of leadership through non-verbal communication - the language a horse understands.